Charles-Augustin de Coulomb (June 14, 1736 - 23 August 1806) was a French scientist who immortalized his name for the power units to respect the important research that has been done by these scientists. Coulomb comes from an influential noble family to education is guaranteed. He is a big talent in mathematics and learn techniques to become the Corps of Royal Engineers. After serving in Martinique for several years, he returned to Paris and in 1779 was elected to the Academy of Sciences in 1781. At the time of the French Revolution broke out, he was forced to leave Paris to live in Blois with a friend who is also a scientist, Jean-Charles de Borda (1733-1799). He went on various experiments and eventually was appointed superintendent of education in 1802. Initial experiments include the Coulomb pressure which can break an object (1773) and this is the beginning of modern science about the power of objects. His work in the fields of electricity and magnetism that made him so famous, just published in a series of papers between 1785 and 1789. Experiment with the magnetic compass, he immediately saw that the friction on the axis of the needle causing the error. He made the compass with the needle depends on the delicate thread. And he drew the conclusion: the magnitude of torsion on the thread must be the same as the strength of the needle of a magnetic field of the earth. This discovery started the torsional Scales, for weighing objects that are very mild. (English geologist John Michell in isolation is also found on the torsion balance in 1750, but he failed to use it to measure Earth's gravity field). Coulomb torque scales were brought to the discovery of the most important. By moving the two electrically charged spheres near the scales twist, he suggests that the force between two objects is different if the two objects that repel each other. He studied the effect of friction on the machines and display the theory of lubrication. All this, together with his view of the magnet, published in the Theory of Simple Machines in 1779. From 1784 to 1789, while working in various departments of government, he continued to examine the electrostatics and magnetism. 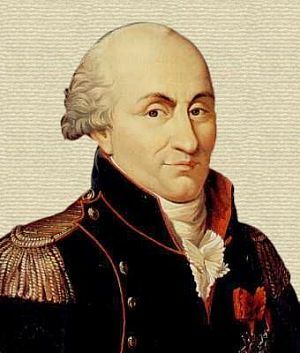 Coulomb's law came out in 1785; attraction and electrical repulsion between two electrically charged objects is the charge multiplication with the inverse square of distance. This formula is very similar to Newton's law of gravity.At Blois, Coulomb studied the electrical charge on the object and the discovery that the charge is only on the surface of the object. Also acquired the power of magnets also follows an inverse square law as static electricity.